Michael Wyman is an agent for MI-6. He is also a Honorary Fellow at the university from which he was seconded many years before by the Firm when they were in need of someone with East German experience. Speaking fluent German and knowing the region quite well, he was the perfect candidate, was asked, and accepted. He had been with them for thirty years and was content, considering himself to be a half-caste, a college don with a PhD in Philosophy who was also in British Intelligence. But as the series opens, his life is undergoing some drastic change. This fifty-six year old man, contemplating retirement soon, is shocked to hear that with cutbacks needed, his position with MI-6 is being made redundant. And similar money squeezes at the University makes them have to remove all current Honorary positions. His alimony checks are a bit in arrears. And his thirty-nine year old girl friend has just learned she is pregnant. A stressful week for Wyman. Life changes quickly for Wyman but his involvement with the Firm and the Intelligence community is never lost and he continues to find ways to show that a middle-aged man with graying thin hair, a pink and flabby face, and a growing paunch can still be an agent to be reckoned with. Finding himself suddenly out of a job, Michael Wyman still has the habit of reading the East German newspapers and in one he finds an article with facts that should not have been there. The existance of a leak in the Firm is not to be ignored. 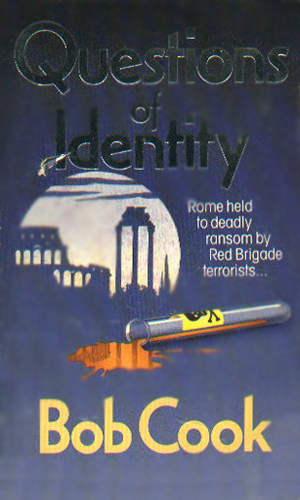 When an important scientist is kidnapped by the Red Brigade, the CIA tries to force a college student radical into making a run for it and taking them to the terrorists. 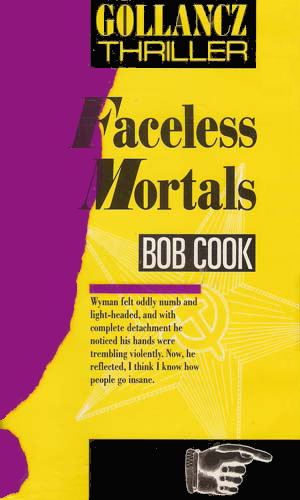 They happen to pick a young woman who is being tutored by ex-MI-6 agent Michael Wyman and he is not pleased. An English teacher with little or no recognition goes missing while in Yugoslavia and suddenly the tabloids are claiming he is a spy. Michael Wyman doubts it but is surprised when the CIA, KGB, and others get so very interested in who the man was and what he was doing in the Balkan nation. Life really isn't kind to Wyman sometimes but this erudite, amusing man somehow manages to keep a smile and go on. 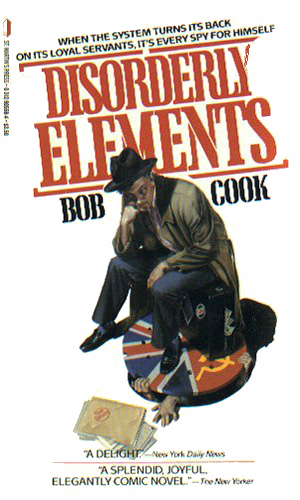 That is the kind of fun reading that Mr. Cook gives us in this three-book series about a not-so-Bond agent. It is definitely a comic novel but not in a slapstick sort but a "don't underestimate me" style. It grabs you and keeps you. You will certainly like Wyman. He is a good sod, reliable as long as you are not in too big of a hurry, friendly unless you get on his bad side, decent with good morals, and a confidence that something good will come along eventually. The writing is first-class with dialogue that is snappy and realistic, prose that keeps the story going smoothly, and plots that are fun and interesting.